Image: March 12, 1917 – the Memorial nears completion. © The Mary Baker Eddy Collection. Used with permission. 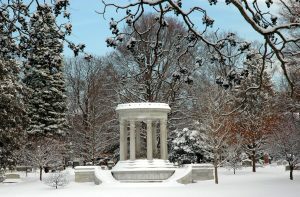 The Mary Baker Eddy monument, an anchor of the Halcyon Lake landscape, was designed by Egerton Swartwout in 1915 and completed in early spring 1917. Ornamental Carvings throughout the memorial depict wild roses, morning glories, a sheaf of wheat, and the lamp of wisdom. Sartwout, “The Mary Baker Eddy Memorial,” 47. 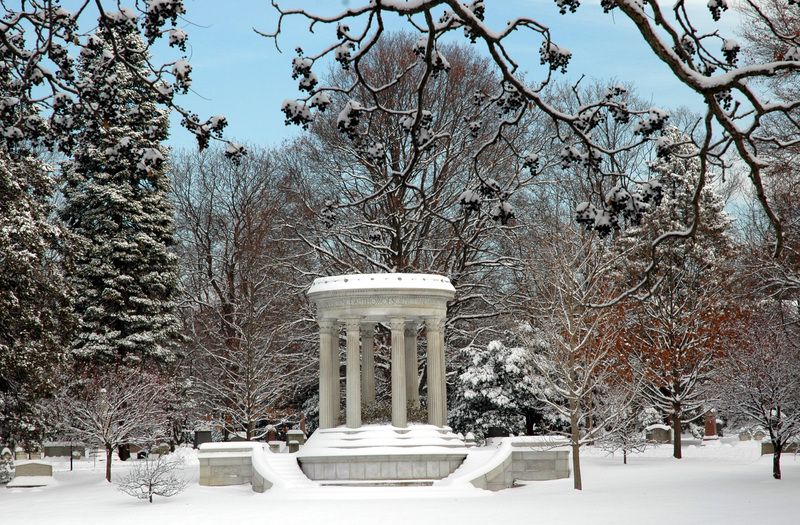 Written by Melissa Banta with Meg L. Winslow with excerpts from The Art of Commemoration and America’s First Rural Cemetery: Mount Auburn’s Significant Monument Collection ©2015, Friends of Mount Auburn Cemetery. 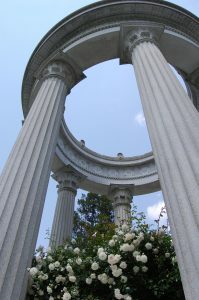 Learn more about the construction of the Eddy Monument in the article “Mary Baker Eddy Memorial” written by Michael R. Davis for the Winter 1997 – 1998 issue of Sweet Auburn. Would there be any information on whether the individual buried also carried the name of Reverend Mary Baker Eddy, Pastor Emeritus, or Mary B. G. Eddy, or whether those are buried elsewhere? 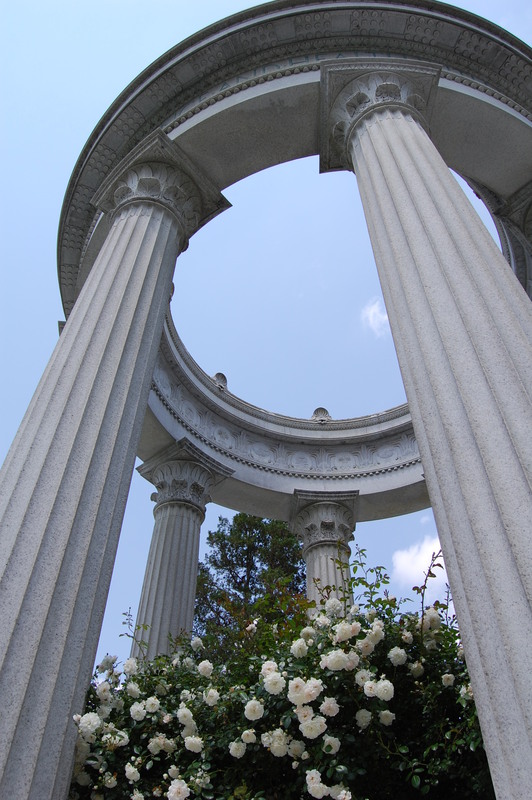 That is the same person buried at this site — Mary Baker Eddy was also known as the Reverend Mary Baker Eddy, Pastor Emeritus, as well as Mary B. G. Eddy (the “G” standing for “Glover,” the last name of her first husband).